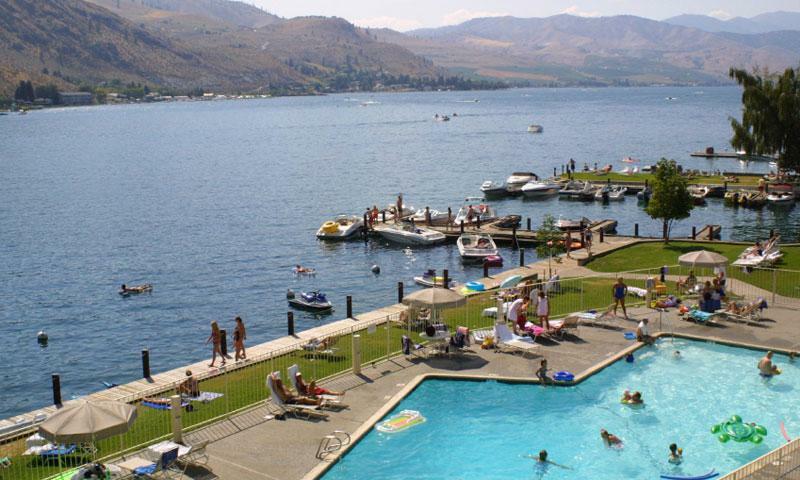 Not only is Lake Chelan WA famous for its natural beauty and relaxing atmosphere, it also has enough activities to keep your group busy no matter how short or long your stay may be. The absolute best Whitewater river rafting Washington state has to offer. River Recreation is THE Washington state White water professionals with only the best guides. Take some time away from the water at the Mill Bay Casino where you can play golf or enjoy a casual driving range. What can I see and do at Lake Chelan? Swimming: Mansion Bay Marina and 25 Mile Creek State Park are the two best places in Lake Chelan to go swimming. Both are open to the public and accessible for boats, cars, and other water sports. Boating: Public boat launches can be found at Mansion Bay marina, Lady of the Lake Boat Launch, Mill Bay Casino, 25 Mile Creek State Park, Chelan Riverwalk Park, Old Mill Park, and Lake Chelan State Park. Camping: Two recommended campsites are Lake Chelan State Park and 25 Mile Creek State Park. Both have standard camping sites available, utility sites, boat launches, swimming and fishing. Lake Chelan also has a bathhouse and a picnic site. 25 Mile Creek has a marine gas station. Wapato Basin: Wapato Basin is where most of the water activities and sports take place in Lake Chelan Washington. Bring your group here for a day packed with fun summer festivities. Mill Bay Casino: Enjoy the golf course, driving range, and a boat launch. And don’t forget about the casino. Shopping and Dining: Travel into the town of Lake Chelan to enjoy year round shopping and dining. You’ll find quaint stores, cafes, and delicious restaurants. Follow signs on Highway 2 towards East/Wenatchee Spokane and take exit for Lake Chelan. For more information please call the Lake Chelan Chamber of Commerce and Visitor Information Center at (509) 682-3503. Stunning beach on the Olympic Peninsula.